"I thought that this was going to be a recipe for disaster." Originally aired December 25, 2015, on NPR’s Morning Edition. 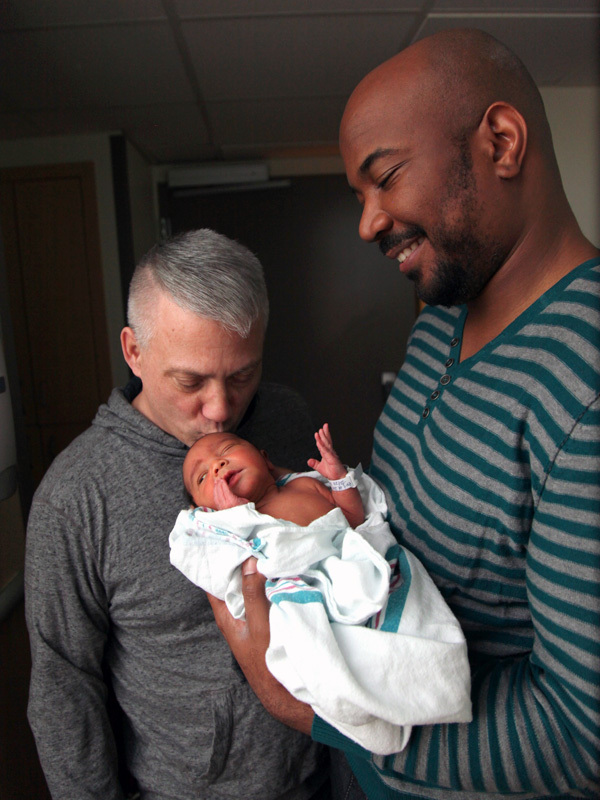 Above photo: Seth, Octavius, and their son Julian (photo courtesy of the Smiley-Humphries family). SSH: I just thought, nobody really should be alone on Christmas. OSH: Me being black and you being white and the age difference I thought that this was just going to be a recipe for disaster. CS: But the minute you walked in the door you just lit up the house and I felt, “Maybe this is Mr. Right.” And I think that I kissed you. OSH: As shocking as it was I knew I was home. You know when I was 22 I lost my father and two years following that my mother passed away. And so Christmas and the holidays was just a constant reminder that they were missing. But when I met you and you invited me into your home it gave me that sense of family again instantly. CS: Is that why you chose to propose to Seth at Christmas? OSH: Yeah, it was our third anniversary. We’re sitting there at dinner. I remember starting with, “I just want to share with you how special this is for me.” Everyone stopped eating because they were hip to what was about to happen. Except for Seth. SSH: I had no idea. OSH: — shoveling food down his throat. SSH: And then I realized it was a proposal. CS: I was so happy. It was awesome. SSH: You know, having come out in 1983 in Atlanta, Georgia — never would of — Always wanted to get married, always wanted to have a family. But today, it’s a reality with you.